In the four years of two All-Star games, 1960 was the lone season any team won both games. 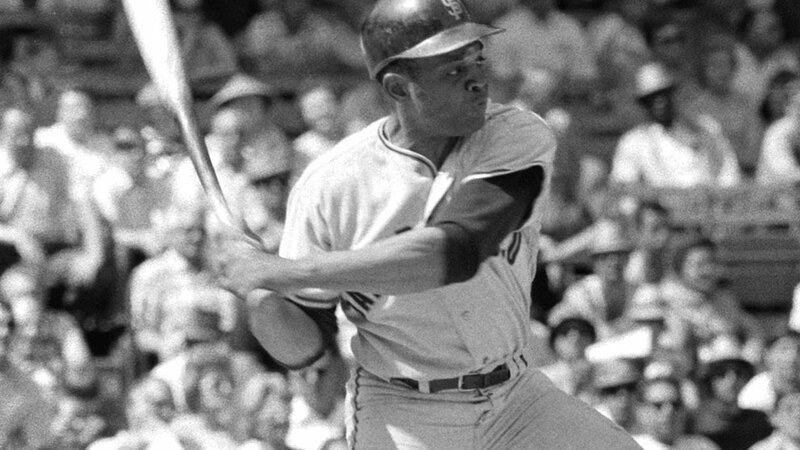 Willie Mays returned to the Big Apple in a big way. He went 3-for-4 with a home run, one of three on the day for the NL, including Eddie Matthews' two-run homer in the second and Stan Musial's pinch-hit shot in the seventh, the sixth of his career (ASG record). Ted Williams also appeared in his 18th and final game. a-Struck out for Podres in the 5th. b-Homered for Williams in the 7th. c-Walked for Aaron in the 8th. d-Grounded into a double play for Banks in the 8th. e-Walked for White in the 9th. HR: Mathews (1, 2nd inning off Ford, 1 on, 0 out), Mays (1, 3rd inning off Ford, 0 on, 0 out), Musial (1, 7th inning off Staley, 0 on, 2 out), Boyer (1, 9th inning off Bell, 1 on, 0 out). TB: Banks; Boyer 4; Mathews 4; Adcock; Musial 4; Taylor; Skinner; Mays 6. RBI: Mathews 2 (2), Mays (1), Musial (1), Boyer 2 (2). Runners left in scoring position, 2 out: Cepeda. SB: Mays (1, 3rd base off Ford/Berra). CS: Mays (1, home by Ford/Berra). PO: Mays (3rd base by Berra). a-Flied out for Ford in the 3rd. b-Singled for Wynn in the 5th. c-Singled for Minoso in the 7th. d-Walked for Staley in the 7th. e-Popped out for Lary in the 8th. 1-Ran for Williams in the 7th. TB: Lollar 2; Fox; Mantle; Hansen 2; Kaline; Williams; Skowron. Runners left in scoring position, 2 out: Maris 4; Runnels; Hansen 2. Pickoffs: Berra (Mays at 3rd base). Game Scores: Law 55, Ford 38. Groundouts-flyouts: Law 1-2, Podres 2-2, Williams 2-1, Jackson 0-3, Henry 0-0, McDaniel 3-0, Ford 2-1, Wynn 1-0, Staley 4-2, Lary 1-1, Bell 1-2. Batters faced: Law 6, Podres 10, Williams 8, Jackson 6, Henry 5, McDaniel 4, Ford 13, Wynn 6, Staley 8, Lary 4, Bell 7. Umpires: HP: HP Umpire. 1B: Dusty Boggess. 2B: Jim Honochick. 3B: Tom Gorman.